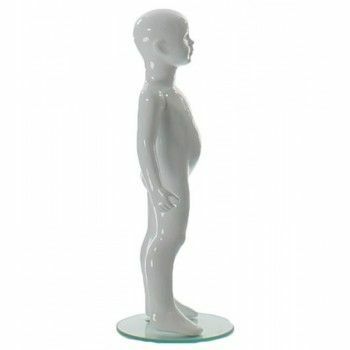 This mannequin is an abstract child mannequin. 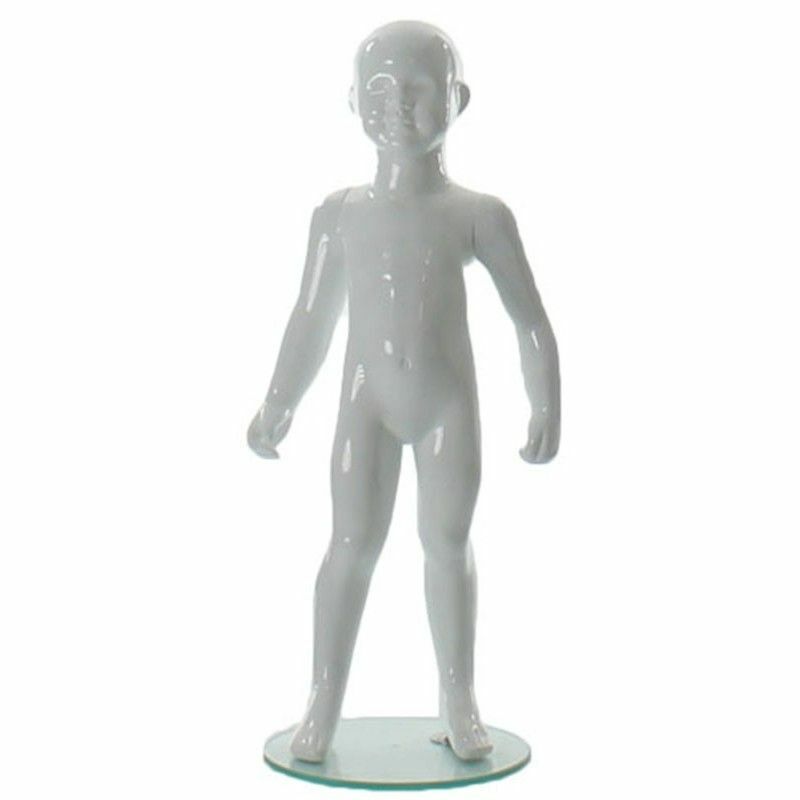 In glossy white color, it is in the upright position and the facial features are slightly drawn. 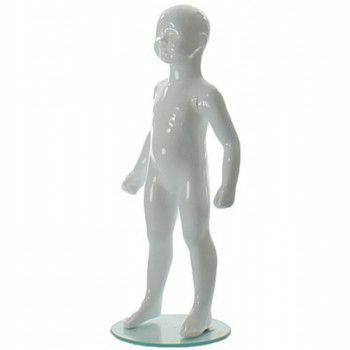 Fiberglass, this child dummy was designed for optimal duration. Easy to handle, it requires little maintenance. To customize your windows, this abstract mannequin can be painted in several finishes: matte, glossy (gloss lacquered), satin and that of the color you want. This child mannequin adapts easily to all kinds of windows and trends. 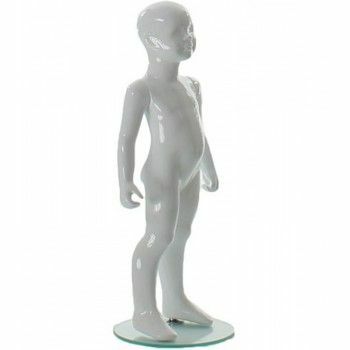 This abstract mannequin child has a mounting foot with a glass base ronde.